With Avengers on the verge of conclusion, what possibly might happen to all the Avengers characters. Avengers: Infinity War ended in an utmost shock after the mad titan Thanos finally assembled the Infinity Gauntlet and decimated most of the mightiest superheroes of all time into dust. That was the most abruptly shocking ending in the history of Marvel Cinematic Universe since its creation more than a decade ago. The movie not only ended with a cliffhanger but also left behind a question: Who is going to save the day after so many Avengers bit the dust? Infinity war bid farewell to major MCU characters like Doctor Strange, Black Panther, Star-Lord, Spiderman and many more following the Thanos's snap of a finger. With approaching release of Avengers: Endgame in April, fans are desperately waiting to find out how the Avengers will defeat Thanos and revive all those dead characters in the process, and see which Avengers will exit the Marvel Cinematic Universe after Avengers 4. In the meantime, to maintain the mystery, the promotions for the upcoming Avengers movie has only featured remaining characters from Infinity war leaving plenty room for viewers to assume what ought to happen. Further, the Endgame trailer provides a glimpse of Iron Man, a.k.a. Tony Stark (Robert Downey Jr.), post-Infinity War where he is in a dire situation with a limited supply of oxygen. With very few Avengers remaining to save the day, the new addition Captain Marvel (Brie Larsson), the only superhero movie releasing prior to Endgame is highly looked upon to help fight Thanos and possibly resurrect the decimated Avengers. Set in the 1990s the origin story of Captain Marvel, a solo superhero movie between Infinity War and Endgame takes place before the events of Infinity War and all of Marvel’s superhero movies except Captain America: The First Avenger (which was set in 1942). However, in January with the release of the first trailer for Spider-Man: Far From Home, Endgame most likely will resurrect some of the decimated alongside bid farewell to some of the major Avengers from MCU most probably Tony Stark aka. Iron man. The post Endgame movie Spider-Man: Far From Home is due out July 5, 2019, in which both Spider-Man and Nick Fury appear in the trailer, looking alive and well even though they died earlier in Infinity War. The trailer hints the chances characters will be revived in Endgame to carry on in this sequel. So in a roundabout way, seeing Peter Parker alive and slinging in Spider-Man: Far From Home is confirmation Spidey and others turned into dust will be resurrected in Endgame. So will this all-time favorite superhero make his way out or is he going to stay that way at the end of Endgame? We have no idea. But the fascinating thing is how the first Spider-Man: Far From Home trailer goes out of its way to make it seem like Stark doesn’t survive Endgame. If you look closely, a check from Stark Industries is signed by Pepper Potts instead of Stark. Also, Happy tells Peter Parker “he’s all alone,” and Stark, who is Parker’s father figure in both Spider-Man: Homecoming and Infinity War, doesn’t appear in the trailer. This could all point to Stark dying in Endgame, sure, or could it be something different. Given, Pepper Potts is the public face and CEO of Stark Industries and Stark could appear in the movie but purposely not in the trailer to raise speculation. Additionally, one of Parker’s classmates refers to Stark in the present tense, further signaling he might still be alive. Still, while Stark may not die in Endgame, the movie could be the end of the road for the character. According to Marvel star Chris Evans aka Captain America, Downey’s contract expires alongside Evans’s and Chris Hemsworth’s (Thor) with Endgame. Similarly, Chris Hemsworth also stated the potential end of his character as Thor in the Avengers: Endgame but in a curious turn, he only talked about his run as Thor as “potentially finishing,” not definite or permanent. Further, additional character spotted in Endgame character is Ant-man whose role in the movie is still imperative. We are unclear what role will Ant-Man play in Avengers: Endgame till date. Ant-Man is a weird case, as the trailer for Endgame has him showing up and surprising Captain America and Black Widow with his existence whom they thought was dusted suggesting he may be key to undoing Thanos’s snap. All these are merely speculation, one thing which can be assumed for sure is that we might get to see more of this tiny superhero even after Endgame. Contract-wise, it’s believed Marvel usually makes its actors sign commitments for six movies. Rudd apparently appeared in just three movies so far, including the two Ant-Man films plus Captain America: Civil War. Next Avenger that possibly can be seen on the big screen is Black Panther (Chadwick Boseman). Though the superhero was dusted after Thanos’s finger snap we can't completely count on Marvel permanently killing one of its most successful superheroes to date. Domestically, Black Panther is both the most successful Marvel movie in history and the third-highest-grossing film of all time which recently won Top SAG Awards Prize. Observing the huge success, future Black Panther movies can be expected. Further, in an interview with Screen Rant, Angela Bassett confirmed her character Ramonda (Black Panther’s mother) and Letitia Wright’s character Shuri (Black Panther’s sister) both survived the snap so characters from the movie can definitely be expected in the final movie. In addition, an upcoming sequel to Black Panther is already signed by Director Ryan Coogler. It is currently under development but doesn’t yet have a release date. So this probably isn't it for the Africa based superhero. Meanwhile, the only female superhero to make it to the Endgame Black Widow has appeared in Avengers for a while. Unlike other superheroes, the female prodigy is yet to feature her own standalone movie. With the Avengers on the brink of conclusion, Black Widow might just begin her legacy. The first solo Black Widow was finally announced in 2018, but the details surrounding the project, including its synopsis which could very well be an origin story predating Endgame and an exact release date (rumors have its release in 2020), are not quite public. So Endgame will not be the end for the longtime Marvel female prodigy as a standalone Black Widow movie reportedly begins filming in February. Moreover, the newest female superhero addition Captain Marvel with solo standout releasing close to Avengers: Endgame will absolutely survive Endgame. Announced, the future of the MCU Brie Larsson starring character will undoubtedly appear in further Marvel superhero movies as Endgame is her second movie appearance. If the upcoming Captain Marvel solo release goes well, further Captain Marvel follow-ups can be undoubtedly expected. Another major character dusted in the last Avenger movie Doctor Strange, though his appearance in the releasing Avengers sequel cannot be confirmed, further screening of Doctor Strange sequel is highly anticipated. Doctor Strange is the most recent addition to the Avenger with a brief scene in Thor: Ragnarok. Later the recent Avenger recruit was directly seen in Infinity War. While Marvel’s contracts with actors are always a bit of a mystery, there are probably more than two films in Benedict Cumberbatch’s commitment. Apparently, there’s already a solo sequel in development for the character. With a Doctor Strange follow-up on its way, Endgame will not be it for the Marvel character. Additional superhero to make it out alive from Infinity war is Hulk aka Bruce Banner (Mark Ruffalo). As a result of Hulk’s complicated film rights, Marvel is unlikely to ever make a solo Hulk movie. But the studio can still use the character, and what’s especially interesting is Ruffalo earlier mentioned, Thor: Ragnarok, Avengers: Infinity War, and the upcoming Avengers: Endgame represent a trilogy for Bruce Banner/the Hulk, with Endgame serving as the final chapter of the Hulk’s arc. So basically, Kevin [Feige] pulled me aside before this, and said, If you were gonna do a ... if we were going to do a standalone Hulk movie, what would it be?” And I said, “I think it should be this, this, this, and this and this, and ends up like this.” And he’s like, “I love that. Why don’t we do that in the next three movies, starting with Thor 3 and then we go into Avengers 3 and 4.” And I was like, “That sounds great!” And so we are at the beginning of this arc. So basically, Hulk's journey will end with Endgame but we can't just be so sure. Marvel typically signs an actor for six movies and Endgame represents the fifth Marvel appearance for Ruffalo, who has so far appeared in The Avengers, Avengers: Age of Ultron, Thor: Ragnarok, and Avengers: Infinity War, and will next appear in Avengers: Endgame. Ruffalo, if he signed on for six films, could still be in at least one more Marvel movie. Furthermore, The Guardians of the Galaxy were also last seen in Infinity War. Among them, the Guardians to survive decimation include Rocket the Raccoon (Bradley Cooper) and Nebula (Karen Gillan). 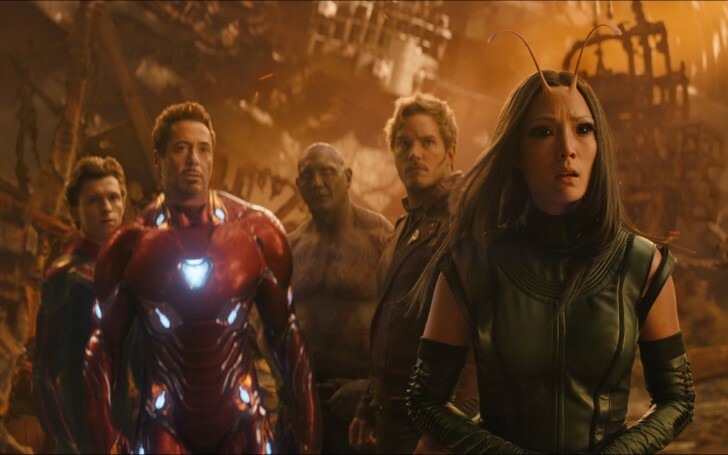 While we bid farewell to some of the most adored guardians Groot (Vin Diesel), Drax (Dave Bautista), Star-Lord (Chris Pratt), Mantis (Pom Klementieff) and Gamora (Zoe Saldana) in Endgame, we might most probably see them again. Apparently, a future sequel A Guardians of the Galaxy Vol. 3 movie is in the works, but its production was put on hold in August 2018, following Disney’s firing of Gunn after the circulation of old, offensive tweets. However, Chris Pratt the lead actor in Guardian of Galaxy promised fans Guardians of the Galaxy Vol. 3 will surely release. Apart from this, another character from Avengers Hawkeye who reportedly will have a bigger role and story in the Infinity War follow-up has an ongoing rumor about his solo movie being considered. On the other hand, Scarlet Witch and Vision who were subsequently killed in the last avenger movie will possibly not appear on Avenger. However, the duo Scarlet Witch and Vision reportedly have a television series in development for Disney’s upcoming streaming service. Nick Fury who managed to send alert to Captain Marvel before turning into dust on Infinity war post-credits scene appears on upcoming post-Endgame Spiderman sequel Spiderman: Far from home. Further appearances in other movies, however, are not disclosed. With the end of the Avengers following the release of Avengers Endgame, Marvel will supposedly drop phases after Endgame, and instead deliver two kinds of story types, including street level and cosmic. Characters like Fantastic Four and Doctor Doom bridging the two movies will not necessarily respect a linear timeline. Some of them may be set in the past, including prequels for Eternals and Black Widow, and some of them will happen in the future. We cannot say for sure what Marvel plans for future after Endgame. But right now all we can do is wait for Captain Marvel and Avengers: Endgame to hit the theatre and unveil the mystery. We will all find out all the whos, whats and hows together when the movie hits theaters in April.